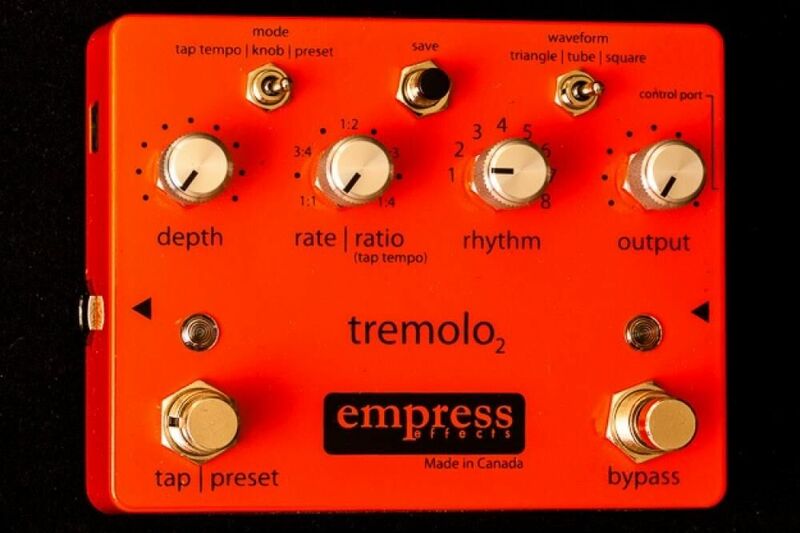 The Empress Tremolo2 is an original design built from the ground up to include innovative features without sacrificing tone. 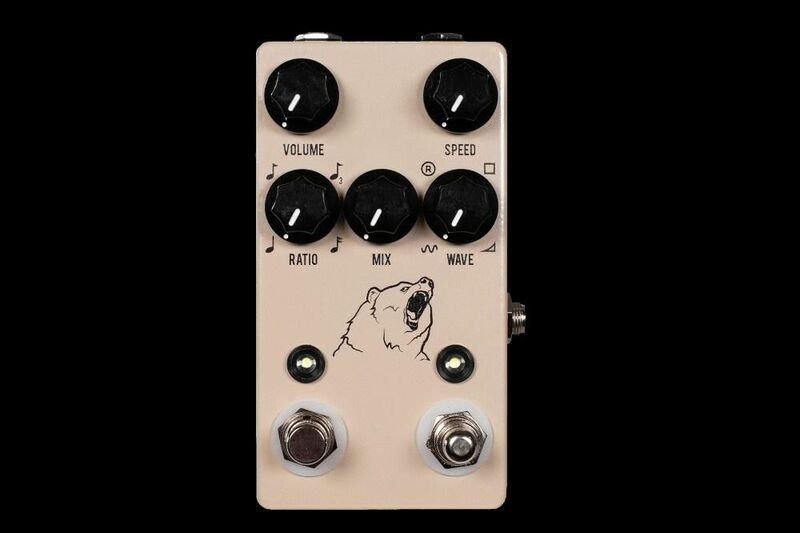 The audio signal path is analog, but the tremolo effect is controlled digitally via opto technology. Tap tempo, selectable waveforms, a choice of 8 rhythms and a full preset system capable of storing up to 8 presets are all at your fingertips. The control port allows control over the Tremolo2 via external tap tempo, expression pedal, contro l voltage and MIDI, making the tremolo2 more powerful than ever! Waveform Selection - You can modulate your sound with three different waveforms. 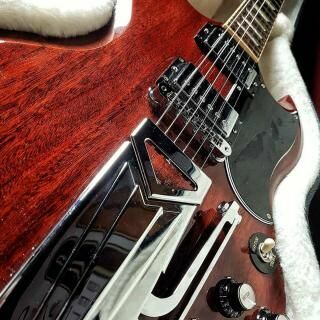 An asymmetrical tremolo was modeled after a '65 Fender Vibrolux (brown face) to give you the fullest tremolo sound possible. A square wave can be utilized if you're after a harder sound. And if you're looking for a more normal tremolo, you can use the triangle wave setting. 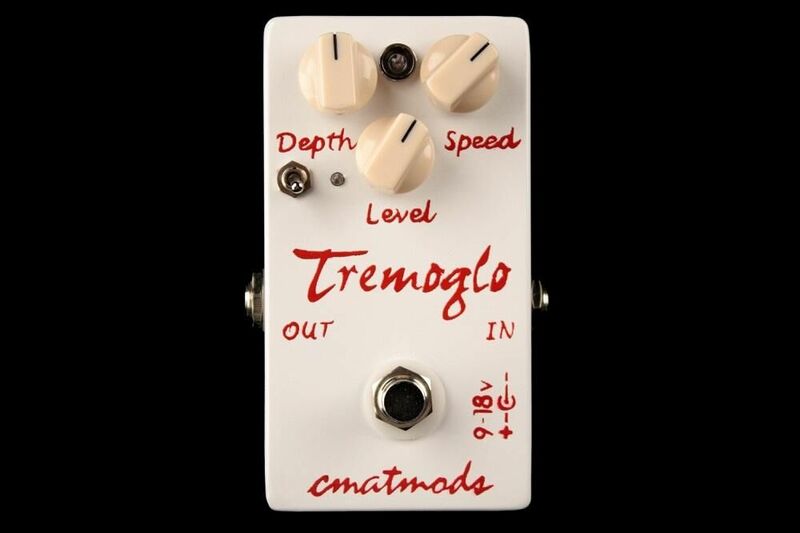 Gain - A problem with most tremolos on the market is that when they're engaged, you hear a noticeable drop in volume. 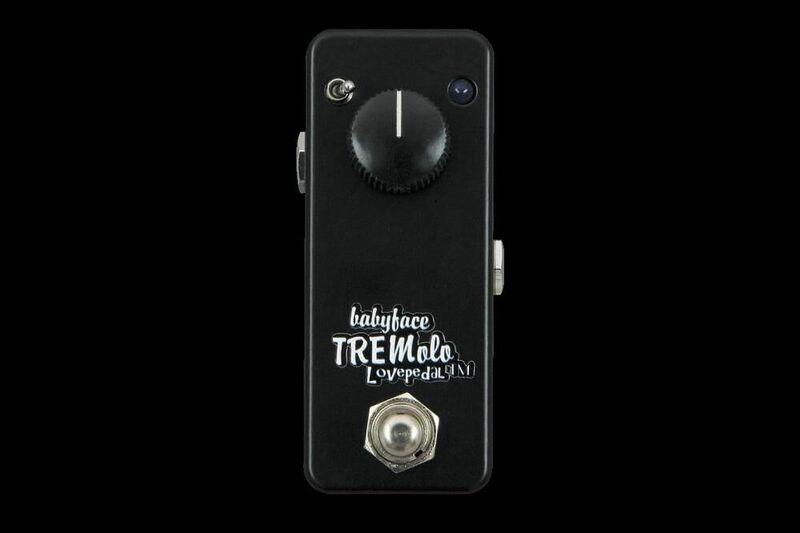 The Empress Trem solves this by having a gain stage on the output. It's able to deliver up to 12dB of gain without adding any distortion to the signal. Advanced Configuration Menu - The Advanced configuration menu lets you configure how your tremolo works. Select from true or buffered bypass, 0-8 presets, MIDI configuration, Control port control (expression pedal, external tap, control voltage and MIDI) as well as which preset system to use, the ramp speed when switching between presets and more!